The farm Schlüterhof near Lüneburg hosts students with care needs, who attend the Heilpädagogische Hofschule in Wendisch-Evern. Here the school takes place on the farm. On the basis of Waldorf education, the farm school enables children and young people with special educational needs to learn and live through practical work with nature on a bio-dynamic farm. While there are "normal" children who come to the farm in the course of school trips, there are children at the A group of nine children started in September 2007. 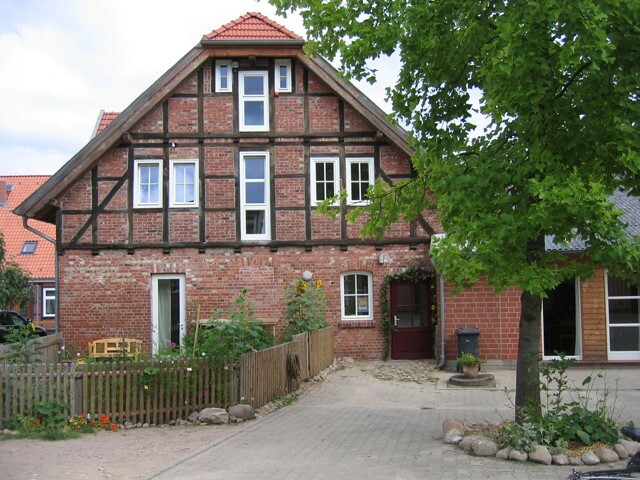 The integrative school is a funding school of the Rudolf Steiner School Lüneburg. At present, 38 pupils are taught from the first to the seventh grade. The farm is located in a village, where there are neither shopping nor a village cross. Andrea and Jürgen Schlüter have inherited the farm grounds. In order to set up their farm school, they invited the whole village to their home to present their idea and the project and to inspire local residents - with the result that the project receives broad support and is supported on all sides. Like other examples this project is an anthroposophical initiative. The fact that bio-dynamically working farms play a pioneering role in "social agriculture" is not surprising. Rudolf Steiner's pedagogical and agricultural courses were held in close succession, and many biodynamic farm communities have been involved in the integration of people with disabilities for decades. The development in Norway shows how the education of schools and farms can be developed. Linda Jolly, a horticultural teacher, has been involved in numerous projects and initiatives since the 1980s, for example the "Living School" project, Agricultural University of Norway in Ås, has published several analyses and reports about the development in Norway (see unit 2, chapter 3, lesson 55).